For the last few weeks my wife and I have been in Southern Arizona soaking up the rays of sun that seemed to have taken leave of the Northwest, a place we call home. For the last five years, for several months during the winter, we have been blessed in being able to stay in a little town called Green Valley, a place that is situated right in the middle of the Sonoran Desert. The winter months in the Sonoran Desert brings, at least for us, some of the most beautiful weather to be found anywhere in the United States. I did say winter, though, because when the summer comes to the desert, with temperatures exceeding 105 most days, we are only too glad to wend our way back to the beautiful, lush Northwest. 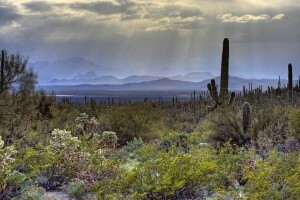 The Sonoran Desert is an area of 120,000 square miles covering parts of California, Arizona, and Mexico. To the east and southeast of where we stay, the desert transitions into large areas of coniferous Arizona Mountains forests, many times called sky islands—islands of mountainous green surrounded by dry desert. The Sonoran Desert is host to 60 mammal species and 350 bird species. 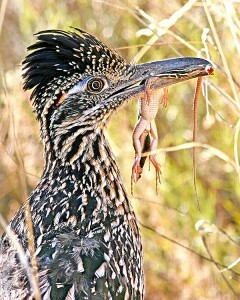 One of these bird species is the Greater Roadrunner. 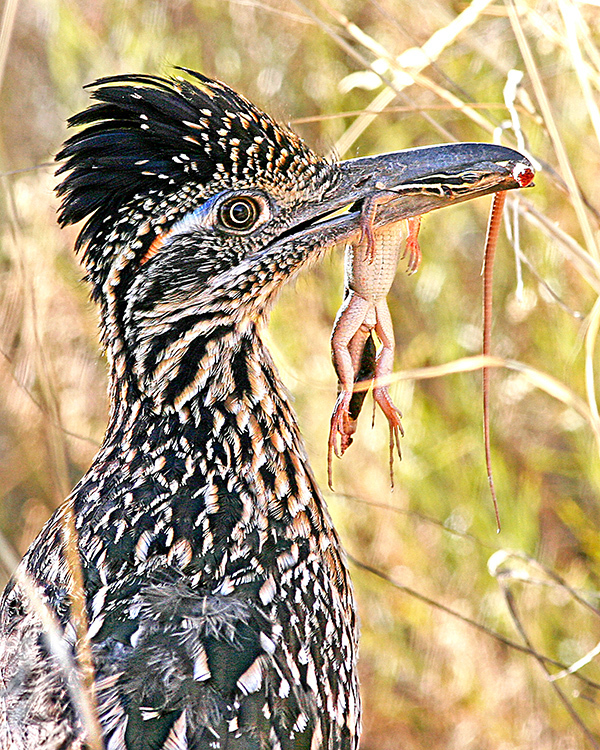 The Greater Roadrunner is, without a doubt, the most famous bird in the Sonoran Desert. It is also, over the last 100 years, the most fictionalized bird. From the tall tales of the Old West where Roadrunners would seek out sleeping rattlers and build fences of cactus joints around them to the “tall tales” of a later generation of Americans where Roadrunners were purple and sped around the desert crying “beep beep,” fiction abounded. But without the hyperbole, I think the Roadrunner is still impressive. Running in the open, it can reach speeds up to 17 miles per hour. It has wings and can fly, but seldom does anyone see it do this. Curiously, it often seems unafraid of humans. Two times while birding around Green Valley a Roadrunner has come up to me, within a few yards, to “look me over.” Of course both of these times I had my camera with my 400mm lens on it and I had to “back up” in order to get the minimum focus so that I could take some pictures. 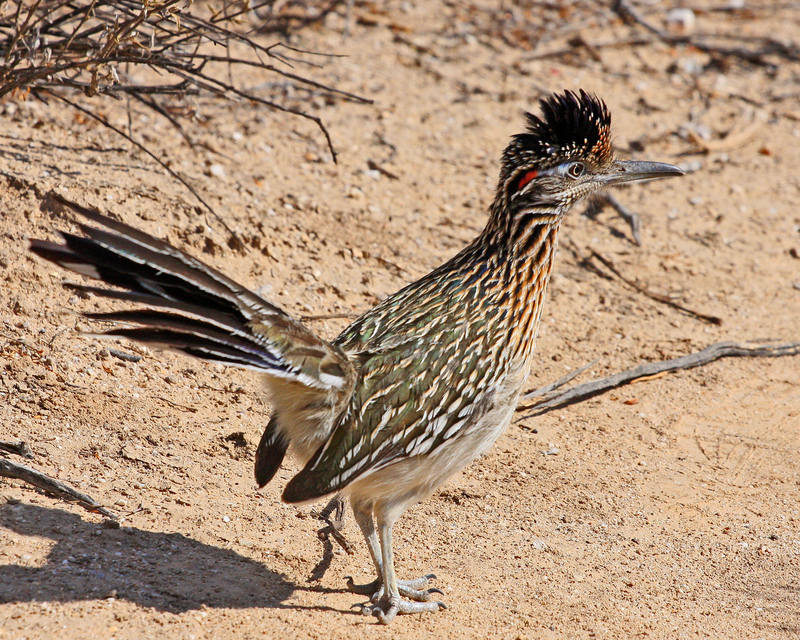 The Roadrunner would trot up to me and peer at me raising and lowering its mop of a shaggy crest and flipping its long tail back and forth, looking as zany as the cartoon creation made it look. 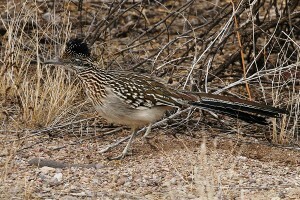 It is interesting to note that the Roadrunner is a member of the cuckoo family. 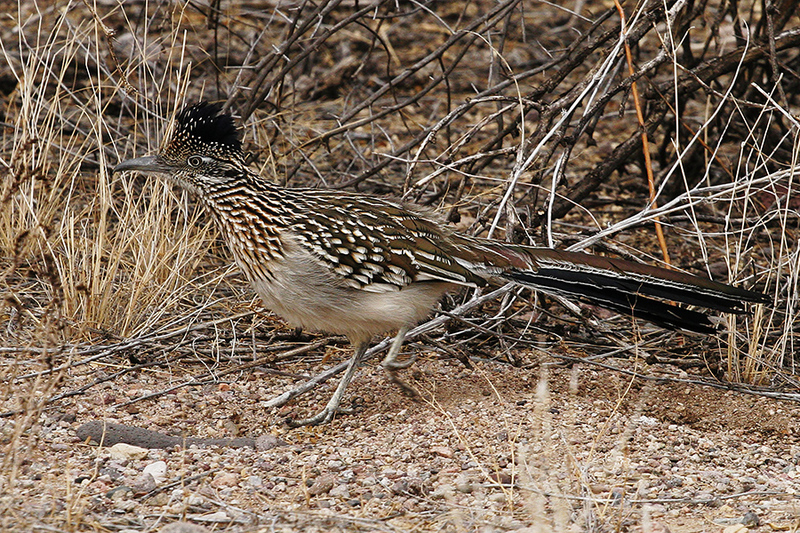 The male and female Roadrunners seem to pair on a permanent basis. Generally courtship display is limited to one of the Roadrunners presenting its mate with a twig or piece of grass and then each chasing one another around the territory they have marked off. They make a nest of twigs and generally construct it in cholla, mesquite, or palo verde. There are usually three to six white eggs which are laid at intervals. The males do most of the incubating because they keep a normal body temperature at night whereas the female’s body temperature drops during the night. If there is a shortage of food the older, larger hatchlings will quickly seize all of the food from the parents and cause the younger, smaller ones to starve. Rarely do all of the chicks reach maturity. If there is not enough food available, these younger birds will be fed to the older, stronger ones. The chicks leave the nest when they are 18 days old and can generally feed themselves when they are 21 days old. Roadrunner skin is heavily pigmented. On cool mornings, the bird positions itself with its back to the sun and fluffs its feathers to expose its black skin, allowing the sun to strike directly on the skin which being black, quickly absorbs the heat energy.